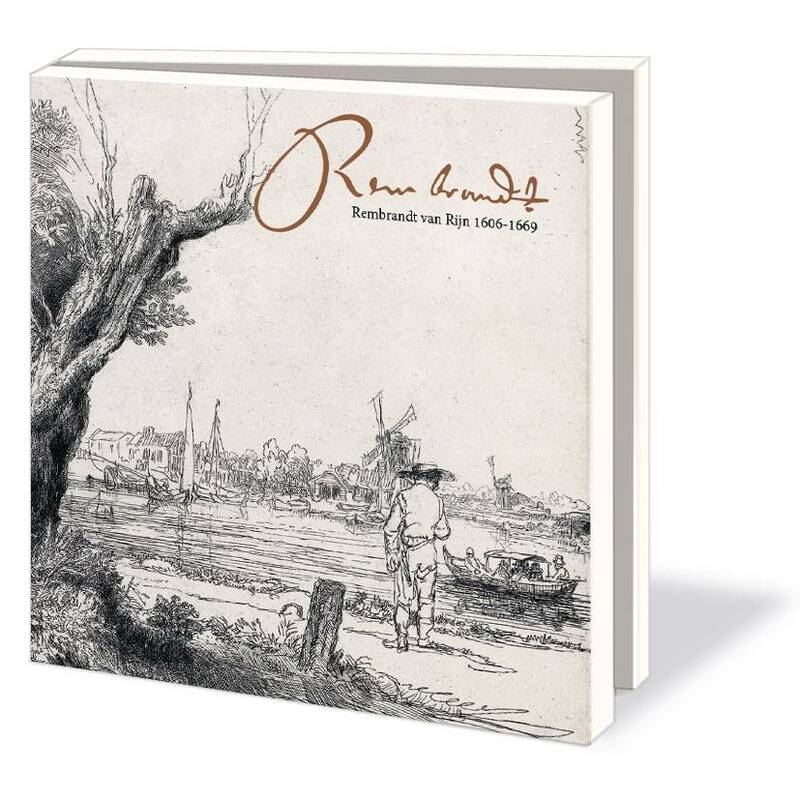 Notecard Wallet Rembrandt with 10 greeting cards plus envelopes. 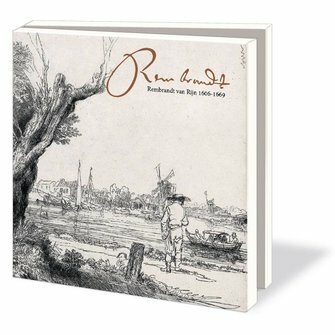 Notecard Wallet Rembrandt with 10 greeting cards plus envelopes. 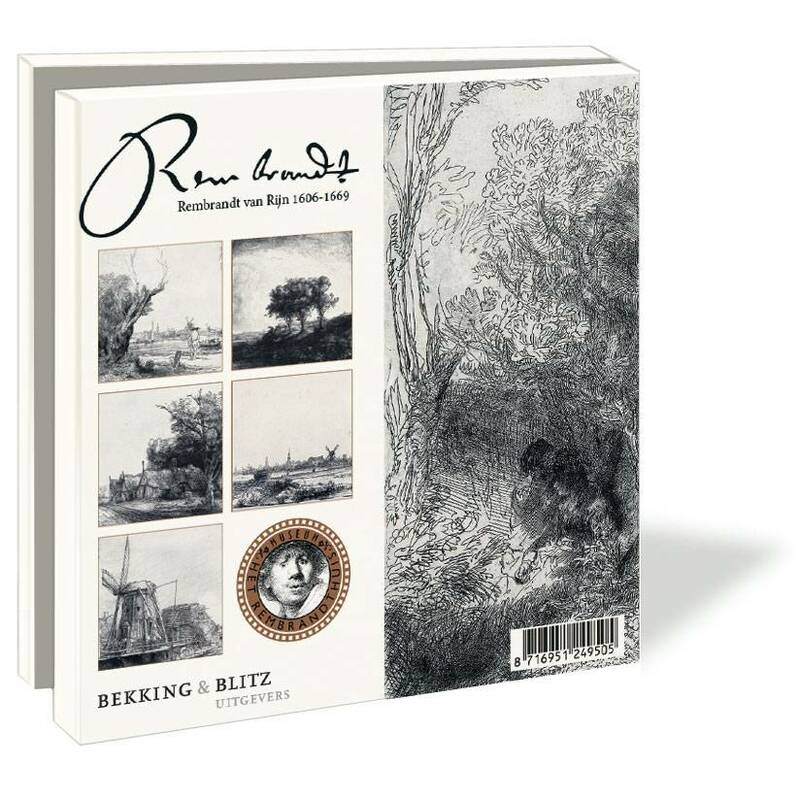 The etchings are 2 x 5 landscapes: B209 The Omval, B212 The Three Trees, B217 Three cottages, B210 View of Amsterdam and B233 The Windmill. Each card measures 13.4 x 13.4 cm closed. The inside is blank. On the back is title and and artist. The wallet is 14.5 x 14.5 cm.